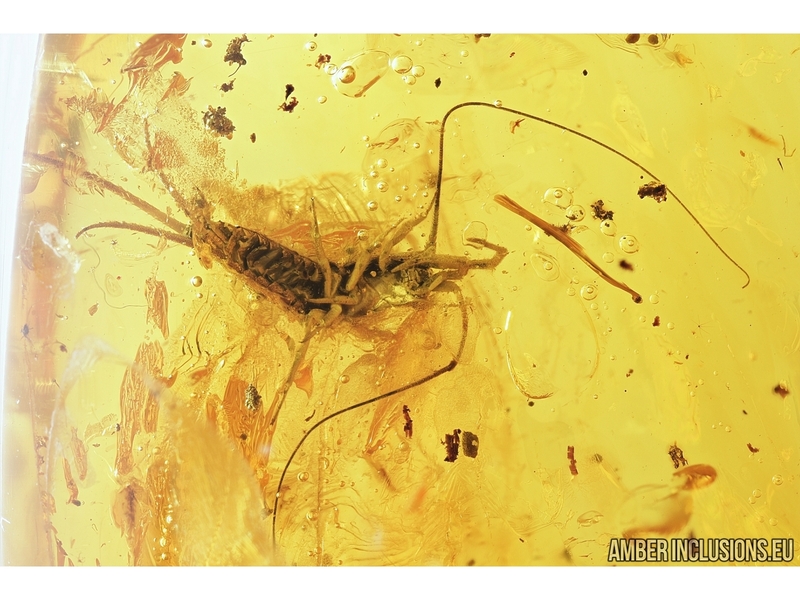 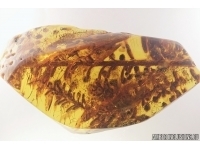 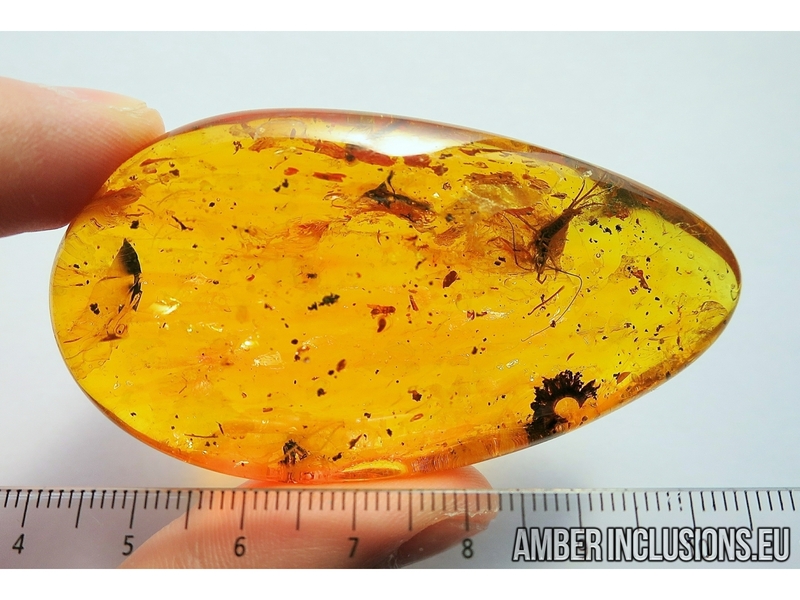 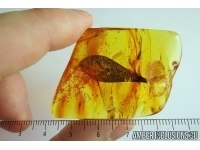 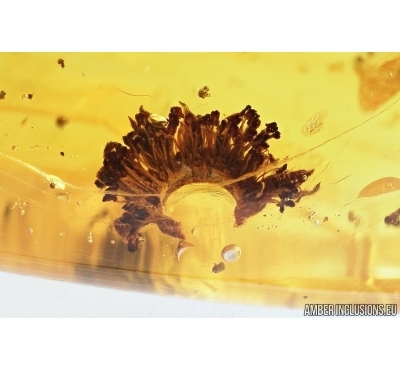 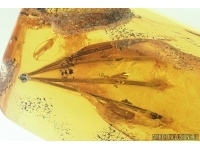 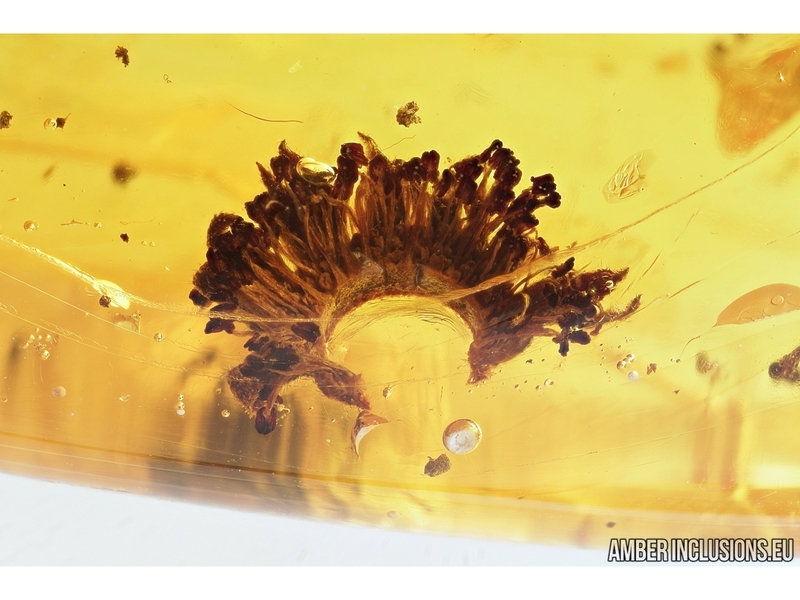 Big Baltic amber stone with fossil inclusions - Nice Flower, Bristletail and More. 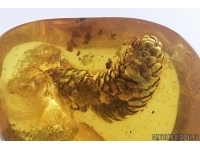 It weighs 27 grams. 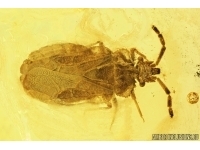 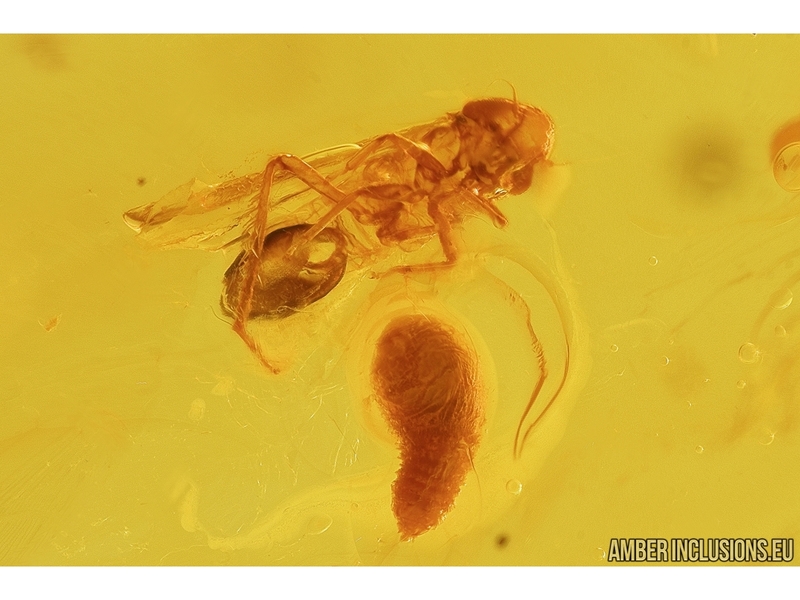 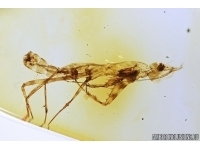 Measurements of stone 75x39x15mm, length of flower~8mm, bristletail body ~5mm, max ~17mm.